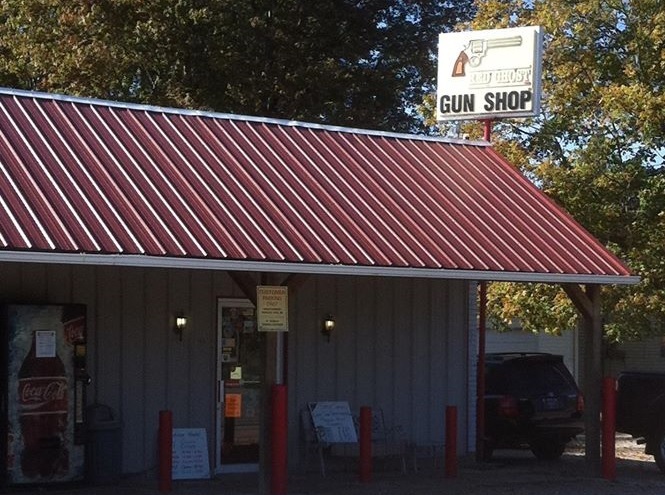 Red Ghost Gun Shop is located at 9540 Big Cynthiana Road Evansville, IN. Take Highway 66 / Diamond Ave out of town heading west towards Wadesville. The shop is 3.4 miles north of the intersection on the left hand side. The shop is immediately across the street from Orchard Rd and just north of the St. Joseph Vet Clinic. If you find the blinking warning light at Boonville-New Harmony Rd or Straub's Outdoor Power Equipment, you've gone too far and need to turn around. Take Exit 18 and head South on Highway 65 / Big Cynthiana Rd. The shop is 7.4 miles south on the right hand side. If you find the blinking light at the intersection of Big Cynthiana Rd and St Wendel Rd (in front of the German Township Fire Department), you've gone too far and need to turn around.